Utterly destroy hostile mobs and players with Notch’s top tips. Be stronger, live longer. Now, if you play Minecraft you’ll already know: it’s not a game for wimps. This is the only book we sell that might just save your life. (If you play Minecraft, that is.) Amazing combat and defence tips to help you play and fight like a winner. Straight from the people who know the game best. 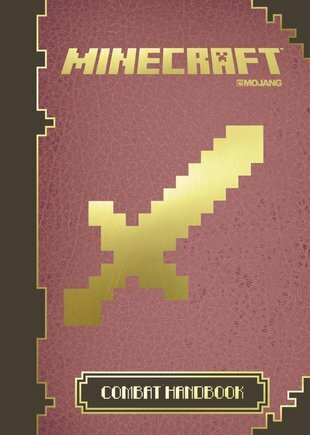 Learn how to build a fort, make armour and weapons, set mob traps, triumph in one-to-one combat, and battle your way out of the Nether and the End. Yup: it’s time to show who’s boss. LOVE, LOVE AND LOVE THIS BOOK. I HEART MINECRAFT! 5 STARS! I love the game.Play it ever day. Love it i would highly recomend it to destroy your pesky freinds or mobs.Also there is a disipointment when I first got Minecraft I tried making Chain Armour but its only in creative.